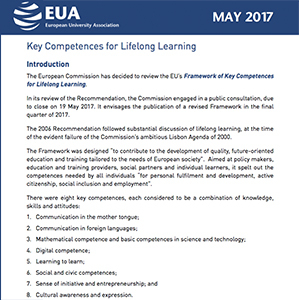 The European University Association (EUA) is the representative organisation of more than 800 universities in 47 European countries and 36 national rectors’ conferences (NRCs). The Council of EUA is comprised of the President, the members of the Board, and of the presidents of all of Europe’s National Rectors’ conferences. 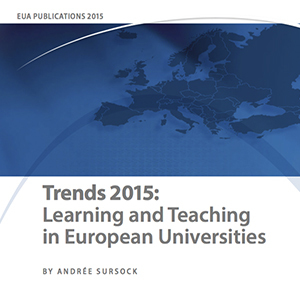 EUA works closely with its members to ensure that the voice of European universities is heard. 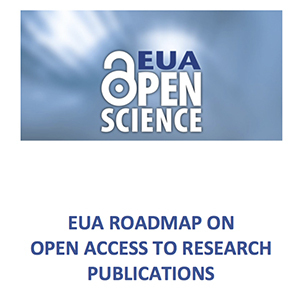 EUA is committed to working towards a system that seeks to achieve a balance of realistic costs and benefits shared between all stakeholders, including commercial publishers and researchers, considering that scientists have simultaneously the critical roles of content providers and peerreviewers of research publications. Universities are core stakeholders in Europe’s energy transition towards a low carbon society, most notably due to their work in research, innovation, education and training, all with regional, national and global reach. 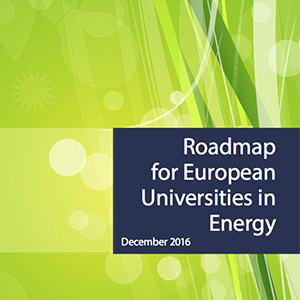 With this Roadmap, the European university community seeks to deepen its engagement and to lay out its vision for a strategic agenda for universities and stakeholders in order to maximise the impact of university-based research, innovation, education and training and outreach activities in the field of energy. Quality assurance (QA) has long been a key area of activity for the European University Association (EUA), both at European and institutional levels. In practice this has meant active participation in European QA policy discussions, in which the association represents the voice of universities and works in collaboration with its members to promote the development of internal QA systems and – most notably – quality cultures. 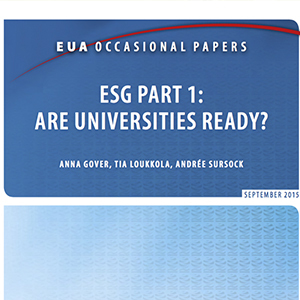 In 2012-2014, EUA was part of the stakeholder group1 that revised the Standards and Guidelines for Quality Assurance in the European Higher Education Area (ESG). This work resulted in the current ESG,2 which were adopted by the ministers in charge of higher education in May 2015. This report is a benchmarking tool to higher education institutions, their staff and their students. 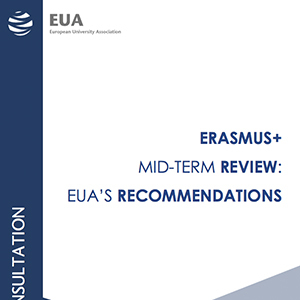 ERASMUS+ MID-TERM REVIEW: EUA’S RECOMMENDATIONS FOR THE 2020 PROGRAMME. 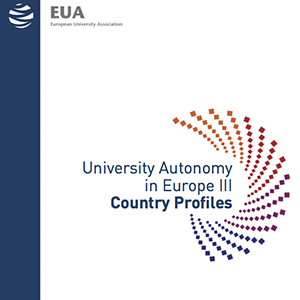 “University Autonomy in Europe III” provides a timely update 10 years after the beginning of the first data collection. With the release of 29 country profiles, it offers more qualitative information which allows a description of developments that cannot be measured or scored. It also gives the opportunity to our collective members to reflect on the current challenges and future developments. 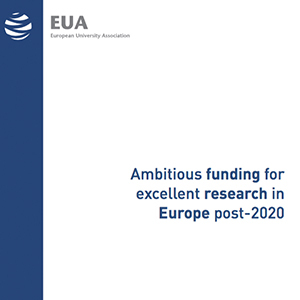 EU-level funding for research and innovation based on grants and open competitive calls creates unparalleled added value and remains paramount to retaining scientific talent and boosting Europe’s global competitiveness. Europe is currently facing many financial, economic and political challenges that put the European idea and values under scrutiny. Universities, as key research and education actors, are at the forefront of common action that seeks solutions to these problems.